After three days of intense poker action, a winner has been crowned in the Event 23: $2,500 Seven Card Stud event with David Chiu capturing his fifth WSOP gold bracelet. Three days ago 246 players took to the felt to play the only seven card stud tournament of the series; and thus technically the Stud Championship. Although there was controversy over the diminishing amount of stud tournaments at the WSOP and the decrease in buy-in from $10,000 to $5,000 to $2,500, a plethora of pros came out to play - some of which make this stud event their only appearance at the WSOP. 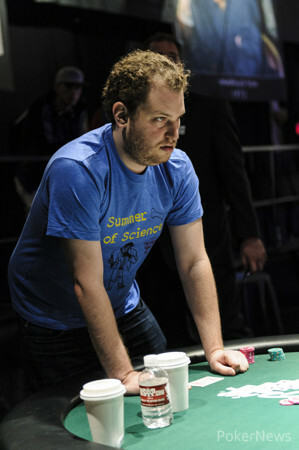 As the tournament progressed through the first two days there would be ten individuals remaining eyeing the prestigious bracelet, and once the final table was reached, the eight remaining players were mixed game specialists with eight of the 12 bracelets on the table coming in a form of Seven Card Stud. Young guns Adam Friedman and Matthew Ashton would fall first before Gary Benson's pursuit to claim bracelets 17 years apart ended in 6th. 2010 Player of the Year Frank Kassela fell next before three-time bracelet winner Michael Mizrachi exited in 3rd to leave a battle between 2009 winner Freddie Ellis, David Chiu and Scott Seiver. Unfortunately for the 78-year old Ellis, his run would end in 3rd place to see Chiu and Seiver enter heads-up play fairly even in play after 138 hands of final table play so far. In a battle of youth versus experience, Chiu and Seiver swapped chips back-and-forth before Chiu slowly began to claw his way into the lead eventually holding a near four-to-one advantage only to see Seiver claim a double to give him some hope. However the match would end after 89 intense hands of heads-up play when Chiu spiked a bigger two pair on seventh to send Seiver out in 2nd. For Chiu the $145,520 first prize sees him extend his $7.4 million in lifetime earnings, but more importantly it puts him into a club of five-time bracelet winners that include Daniel Negreanu, John Juanda, Jeffrey Lisandro and Stu Unger. For Chiu though, he decided early in this tournament that he would play this event in honor of the late Jerry Buss who was blessed with a touching tribute at the beginning of this tournament. Chiu not only honored Buss with playing his best game, but dedicated this win to a man that has been a part of the WSOP for so many years and will surely be one that is missed. 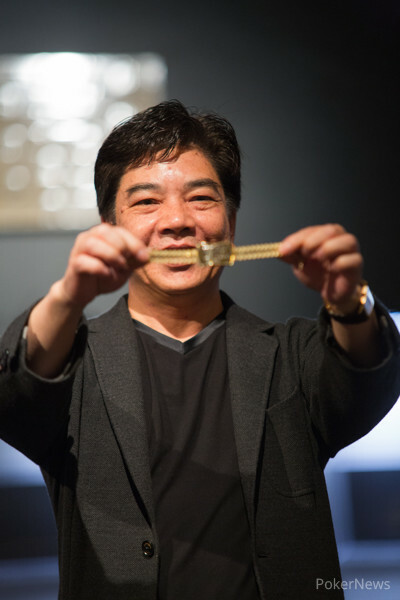 Congratulations to David Chiu for capturing his fifth gold bracelet and etching his name in the record books as one of the all-time greats whose long list of accomplishments are matched by his positive attitude and approach to the game that has earned him the respect of fellow pros, poker fans and everyone that has come across Chiu's path. Scott Seiver Eliminated in 2nd Place ($89,980); David Chiu Wins! Scott Seiver had the bring-in with the and David Chiu completed for 25,000. Seiver made the call before betting out after Chiu checked on fourth. Chiu responded by check-raising to 50,000 and Seiver made the call before calling a bet on fifth. On sixth street we found Chiu firing out 50,000 only to have Seiver raise all in for his last 60,000. Chiu made the call and the cards were tabled. With Seiver in the lead holding two-pair, Chiu had outs to a bigger two pair, trips or a gutshot straight, and after Seiver squeezed out the on seventh, all those outs remained. Chiu grabbed his last card and quickly turned it over to reveal the to see him spike a bigger two pair and eliminate Seiver in 2nd place for a $89,980 payday. Scott Seiver completed and David Chiu opted to two bet his bring in. Seiver made the call before check-raising fourth street and then moving all in on fifth for his last 18,000 as Chiu looked him up. Seiver spiked the on sixth to make a straight while Chiu bricked out on sixth and seventh to see Seiver awarded the pot to move to roughly 250,000 in chips. David Chiu completed to 25,000 and Scott Seiver made the call before betting fourth and fifth. Chiu called on each occasion before betting out on sixth with Seiver calling. On seventh Chiu bet out 50,000 and Seiver reluctantly mucked while slipping to 120,000 in chips. 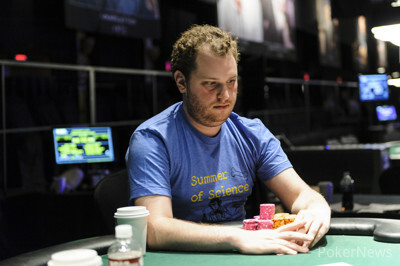 Scott Seiver completed and David Chiu made it two bets. Seiver called and both players checked fourth before Seiver check-raised all in on sixth for his last 99,000 with Chiu making the call. Seiver caught a on sixth to take the lead as Chiu found the . Seiver improved further with the on seventh and Chiu mucked. Scott Seiver completed and David Chiu defended his bring-in before check-calling a bet on fourth. 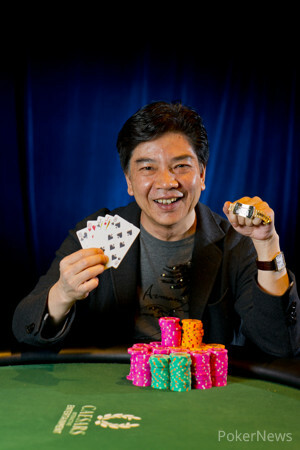 Both players checked sixth before a bet from Chiu won the pot on seventh. Scott Seiver completed and David Chiu made the call before calling a bet on fourth. On fifth street Chiu fired out 50,000 and Seiver mucked his hand to slip to 260,000 in chips. David Chiu completed and Scott Seiver called before the action was checked down through to seventh. "Ace-high!" announced Chiu before Seiver tabled his for a pair of fives and the pot.